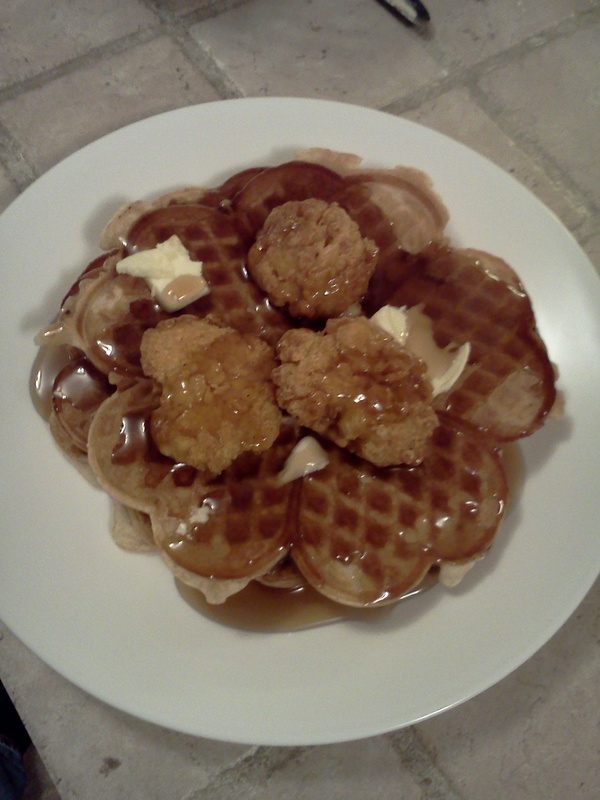 After knowing about chicken and waffles (seeing them a zillion times on Diners, Drive-ins, and Dives) I finally got around to making some last night. Nothing scratch made (Wegmans waffle mix and frozen chicken bites), but yum, none-the-less. Not sure I’ll be able to ever eat waffles without chicken again.